Stephanie Shalofsky offers tailored, collaborative, and easy-to-implement office organization systems that set the stage for business success. Together we’ll assess your needs, define your objectives, and create a workable solution to achieve them. Stephanie recently did an interview where she shared the importance of a productive workspace – you can watch it here. The phone rings—it’s a client requesting crucial information. That’s easy enough, you think, while you go to the shelf where this should be stored. The folder isn’t there. You ask some colleagues and riffle through your desk—all while your client’s on hold. The folder is nowhere to be found. If your desk is cluttered with personal items, random office supplies, or scattered materials from a current high-priority project, you might find yourself crippled by your inability to work efficiently. Office disorganization can extend to your entire company—hindering its overall productivity. The Organizing Zone works with you to strategically organize your work space. Utilizing Stephanie’s expertise as a professional office organizer, we’ll create customized office organizing solutions your entire staff can maintain. We’ll maximize space to create an environment that promotes your success, restructure your work flow to improve productivity, and turn your work space into a “command center”—where everything is systematized and within arm’s reach. Her office organizing techniques will making your work environment conducive to optimal efficiency enabling you to achieve your professional and personal goals. Work with Stephanie Shalofsky for just six short hours—and you will know exactly what to do with each sheet of paper that crosses your desk, be able to find stuff in seconds, and, most importantly, end the day with a pointed strategy to stay organized. Our professional office organizer will work hand-in-hand with you to transform your office into a productive environment that reflects the successful business that you’re building. 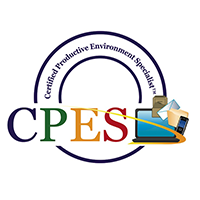 Together, we’ll implement customized systems for organizing your paperwork, desk, and to-do list. Schedule time with our professional organizer that accommodates your availability. Trademarks and registrations are the property of Productive Environment Institute.